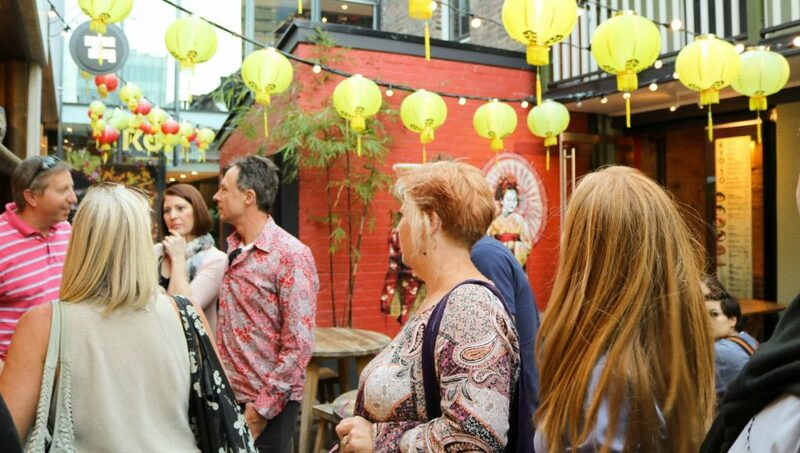 We recently hosted the lovely French travel bloggers from Planete3W on our Sydney’s Hottest Precincts Tour, and they’ve written a stellar review on their website. Nothing better than a Food Tour to discover a city. 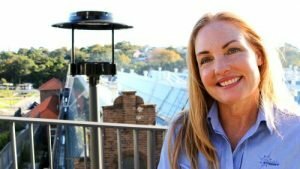 We took advantage of being in Sydney to follow the Sydney’s Hottest Precincts tour. 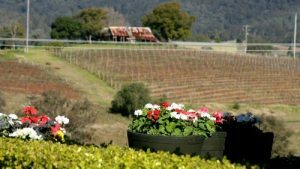 A 6-hour gourmet tour with 8 tastings in Sydney. Back on our Food Tour day in Sydney. 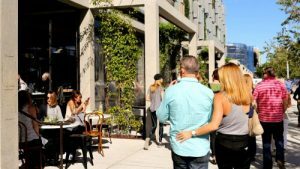 Organized by Ultimately Sydney Tours, the brand new Sydney’s Hottest Precincts Tour is a Food Tour designed to showcase trendy dining venues. But also appreciated the premises and buildings that all have a history. Exit therefore the hyper downtown Sydney and direction the outlying districts. 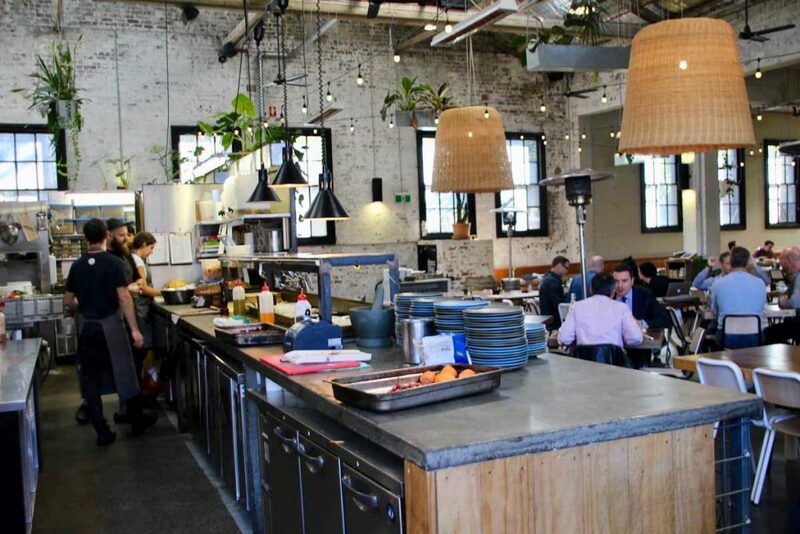 The Food Tour Sydney’s Hottest Precincts which lasts 6h, highlights 4 places. In each of these places, the goal is to discover two authentic addresses and trends. Rest assured that the journeys between the places are done in mini-van and the tour is animated by a true inhabitant of Sydney. 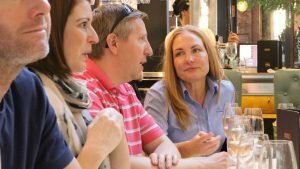 A 100% local food tour. 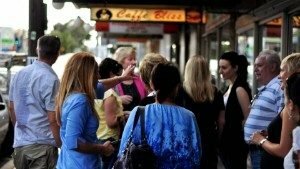 The Sydney’s Hottest Precinct Tour is organized every Wednesday and Friday at 11am. Finally, it costs AUD 260 per person. 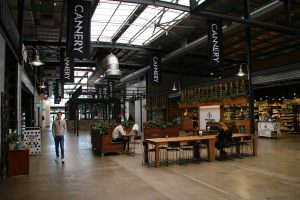 For the 1st stop of the Food Tour in Sydney: The Cannery in the district of Rosebery. The Cannery is a former canning factory very frequented on weekends. It houses shops, cafes, bars and cozy restaurants. 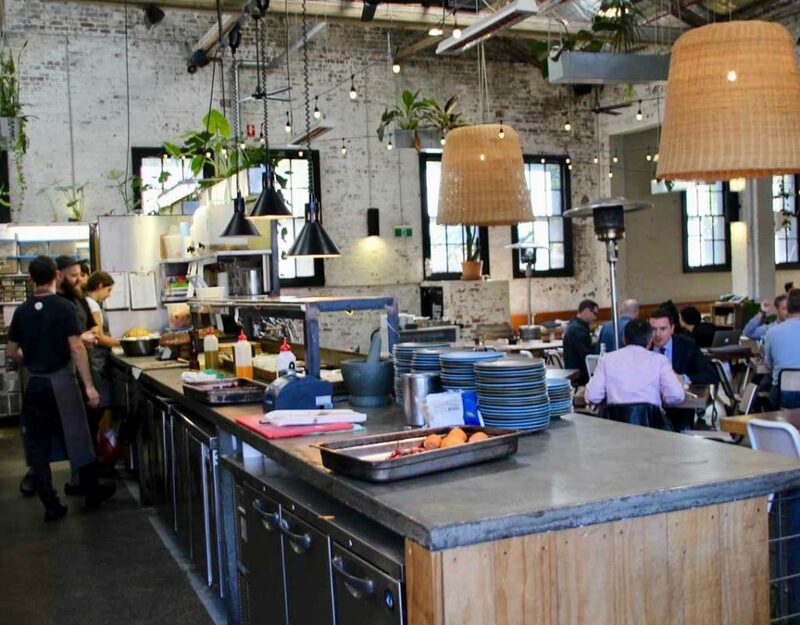 We tasted organic granola at 80/20 and then we enjoy 3-course at Three Blue Ducks a trendy restaurant originally from Byron Bay. 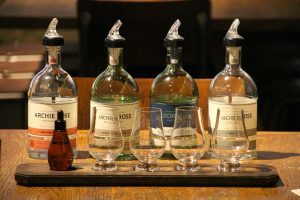 Finally, we taste 3 house spirits at the Archie Rose distillery (Vodka, Gin and Whiskey). Archie Rose has a wonderful bar and offers both tastings and cocktails. It is then on the quays of Bangaroo district that we go to drink a fresh juice from Joe & The Juice. 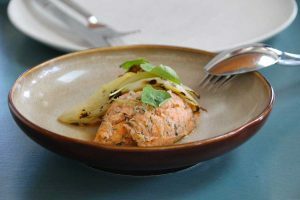 We also eat a salmon-Vermouth tartar with a glass of Vermouth at Banksii Vermouth Bar & Bistro. Original! All with a breathtaking view of Sydney. Direction then Tramsheds Harold Park, a former tramway hangar converted into shopping center and trendy short food. 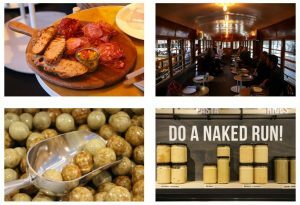 Tramsheds is home to restaurants, shops, a boxing room, bars and even a tiny hairdressing salon under the escalator. 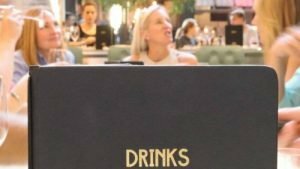 We taste chocolates at Naked Foods and we take a drink in an old car at Butcher and the Farmer. On the menu of the aperitif: 2 local beers and a board of sausage (including sausage of Kangaroo). Yum ! Finally, to finish this Food tour, we go to Spice Alley. An alley that houses Asian Street Food restaurants and stands (Thailand, China, Vietnam, Malaysia, Indonesia). 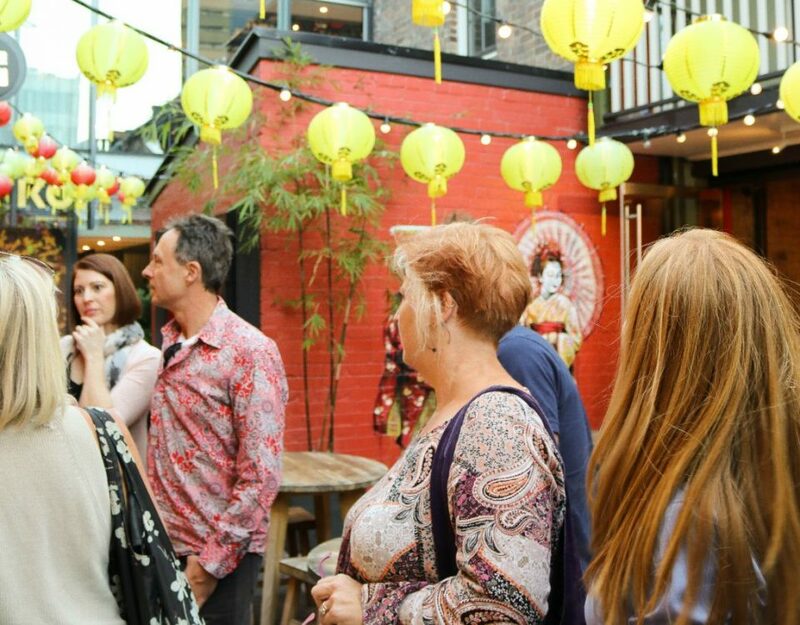 All in an atmosphere and in a decor … Asian! 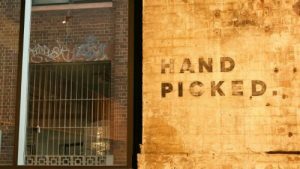 A place not to be missed during a stay in Sydney. Expatriation assured. 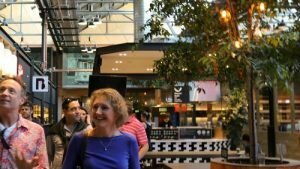 In conclusion, my opinion on what food tour in Sydney. Finally, I did not see the time pass. Every stop and every tasting is an opportunity to discover great products. But also to have information on the products and on the premises. Favorite butcher and the Farmer, Naked Foods chocolates and Handpicked wines wines. 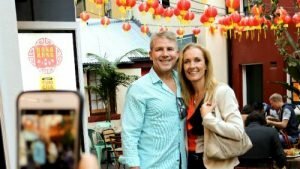 If you have the budget, do not hesitate to follow the Sydney’s Hottest Precincts Tour. 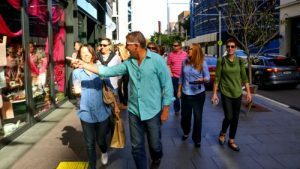 And you, have you followed a Food tour in Sydney?